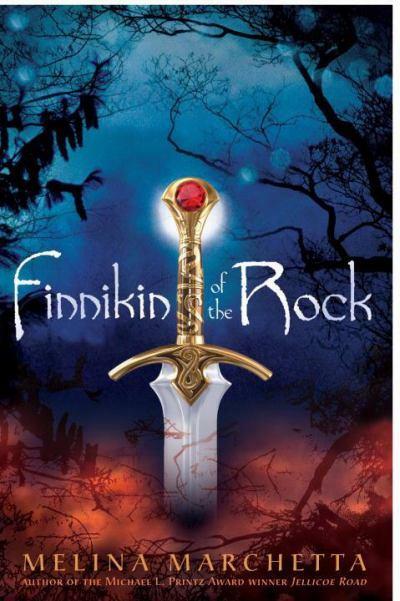 FINNIKIN OF THE ROCK is now in paperback! There are not enough words, time or space for me to tell you how deeply Finnikin of the Rock, the fourth novel from award winning Australian Melina Marchetta, affected me. I think I am a book lover because, in many ways, I am a coward. I would rather experience the world, the often painful, difficult to navigate, emotional world, at a distance from the pages of a book rather than in person. And, from the pages of a work of fiction rather than non-fiction. If it's fantasy and one more step removed from the real world, then all the better. Perhaps it is for this reason that I was so strongly moved by the characters and places created by Melina Marchetta in Finnikin of the Rock. There is no possible way I could have the courage to read the real stories of genocide, forced migration, hatred, prejudice, cruelty, dehumanization and the struggle to love and be loved, despite the fact that they abound in film, in print and in real life. But, having these themes intensely packed into 399 beautifully written pages and having these them played out and resolved by two characters as compelling as Finnikin and Evanjalin (not to mention Froi, Trevanion, Lady Beatriss and Tesadora, toname a few) made them impossible to turn away from.On the surface, Finnikin of the Rock can be, and by many will be, devoured for the powerful story of loss, the fight to survive and the intense, mature (as a contrast to the intense, immature romance of the Twilight Saga) love story that develops over the course of the tale. But, if you let yourself pause as you race through the gripping story to consider the thoughts and ideas that are put forward, you will find yourself thinking about this book for days and days after you have turned the last page. Finnikin of the Rock begins with "If This is a Man," a powerful poem by Primo Levi which asks the reader to remember the inhumanities committed against fellow men and women while at the same time exhorting, even cursing the reader who buries the past instead of passing on the stories of the past wrongs to future generations. This idea is the backbone, the core of the plot of Finnikin of the Rock, Finnikin himself being the bearer of the Book of Lumatere which he has carries around in exile with him for ten years, recording the names of the dead and the locations of the survivors of the horrors that ripped apart his homeland. Finnikin of the Rock promises to tell the whole of this story, "as told to those not born to see such days, recorded in the Book of Lumatere so they will not forget." The story of Finnikin of the Rock begins ten years after the "five days of the unspeakable," which began with the slaughter of the king, queen and their children and ended with an impostor king on the throne and the execution of the followers of the goddess Sagrami and their matriarch, Seranonna. Healers, mystics and empaths, the followers of Sagrami were forced out of the kingdom years earlier but slowly accepted back in by the people of Lumatere, especially since Serannona was wet nurse to the Queen. The people of Lumatere are stunned by this persecution but, already shocked by the murders of the royal family, they watch in silence, unable or unwilling to protect the followers of Sagrami. As the decrees from the impostor king become more horrific, the people of Lumatere flee their homeland. On the fifth day Serannona is burned at the stake in the village square, but not before she unleashes a curse on the people of Lumatere in response to their lack of protection for the followers of Sagrami. Her words are so fierce that they split the earth and cause people to run for the gates of the city that are slowly closing, for good, keeping the last of the people of Lumatere in and the exiles and out. The murders, the genocide, the persecution, the actions or absence of action by the people of Lumatere all arise from their humanity or lack of it at a time of confusion, deep sorrow and fear for the people of their country. The magic employed by Seranonna serves to keep the people of Lumatere segregated and suffering, on both sides of the impenetrable wall that encircles the kingdom, but it also works to give direction, mend, reunite and ultimately heal the people of this brutalized kingdom. With the Land of Skuldenore, Marchetta creates a believable, many layered world in her setting for Finnikin of the Rock. Each of the eight countries has a distinct terrain, culture and language of its own and these languages are used to great effect by Finnikin and his mentor and teacher, Sir Topher, the King's First Man, as the travel over the island. The two switch languages depending on the political tenor of each country they enter in their attempts to negotiate a land in which the exiled Lumaterans can reunite as well as in their clandestine search for Prince Balthazar, heir to the throne and rumored to have survived the massacre. Within the land of Lumatere itself there are the distinct regions and cultures of the Rock, River, Flatlands, Mountain and Forest Dwellers and these come into play in the story as well. The magical aspects of the story are minimal and almost exclusive to Seranonna. However, some characters are empaths and can feel intensely the emotions of others. Some can "dream walk" and through this come to know the experiences of others. These qualities add to the story, but more to enrich the aspects of certain characters and explain ways of knowing than as essential plot points. What drives the book, as Levi's poem suggests, as the men and women of the story. Their emotions, motivations and personalities are central to the text, fantasy elements serving to embolden and empower them to complete the task at hand. As I said in the beginning, there compelling aspects to every character in Finnikin of the Rock, and, at one time or another, it seems that every character makes choices that are both for good and bad, selfish and selfless. The challenges, physical, mental and emotional are endless as the main characters make their way closer to the climax of the book. Sir Topher and Finnikin undertake the treacherous journey to the Cloister of Lagrami, sister goddes to Sagrami, where they are to meet with a novice who insists she knows where the heir to Lumatere is through her dream walking. Having taking a vow of silence, the novice Evanjalin, with her shaved head, is a mystery and a threat to Finnikin, who gradually manages to peel away her layers. Despite mistrust, the two come to rely on each other and, as Susan Whelan says in her review of the book, "their developing relationship and interactions with each other are the highlight of the story . . . and they each draw strength from their combined desire to help the suffering people of Lumatere." While the underlying theme of the book is the struggle to reclaim the kingdom of Lumatere and reunite its people, Marchetta uses the deepening support and value that Finnikin and Evenjalin find in each other to humanize the tale. I shy away from using the word "love" here, although this is in fact what develops between the two, because it sounds so trite in terms of the suffering and torment that has gone on in the story. However, this is where I feel Marchetta has truly written a masterful novel. Although it is set in a fantasy world, she presents the reader with two strong and directed characters who, although they don't realize it at first, are striving for the same goal and can only achieve it through the bond that grows between them. Despite the fairy tale setting, however, there is never once the theme of the "Prince rescuing Princess" or, as it popular these days, "Princess rescuing Prince," or of marriage being the ultimate end, which would almost trivialize the suffering of people of Lumatere. They way in which Marchetta has Finnikin and Evanjalin negotiate their personal relationship and struggle for power is amazing. 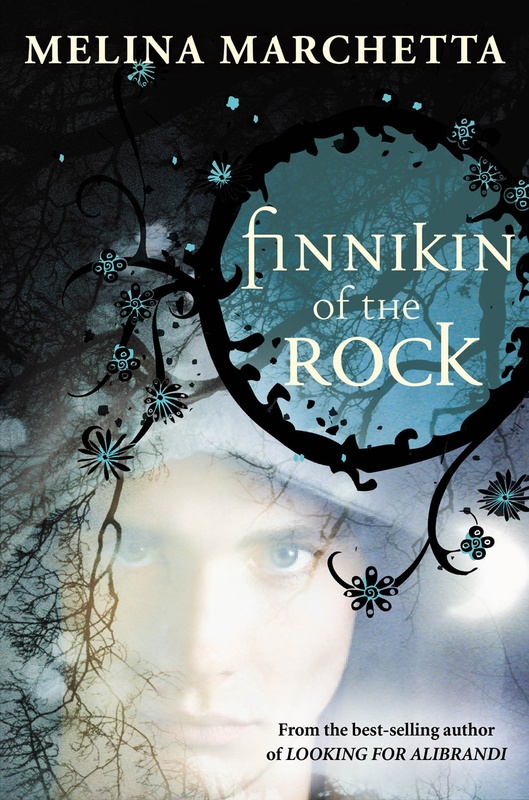 There is so much more I want to say about the male and female relationship as portrayed in Finnikin of the Rock, but to do so would give away the wonderful twists of the plot. This book has left a deep impression for me, both for the darker fairy tale qualities it embraces, the horrors capable by humankind as the basis for the plot, but, ultimately for exploring the power of empathy, human connection and, above all else, love. Exciting news: Thanks to a (also gushing) review of Finnikin over at A Chair, A Fireplace and A Tea Cozy", I have learned that Malina Marchetta IS working on a sequel!!! Visit The Story Siren for a great interview with Marchetta where she reveals that the story follows Froi and takes up three years later when he travels to Charyn to assassinate the king. Q&A with Malina Marchetta and the Australian cover..